If you ask Dan “The Beast” Severn his first impression of the Ultimate Fighting Championship, he doesn’t hesitate in his response. And while Coldwater, Michigan didn’t have Pay-Per-View back in 1993, a buddy of Severn’s in Detroit did, and when he brought the VHS tape over, the die was cast. At the time, Severn, a two-time All-American wrestler at Arizona State University and a competitor in the 1984 and 1988 Olympic trials, was 35 years old, and as far as he was concerned, his best days had passed him by. He did want to give this mixed martial arts thing a try though, so his debut was set for UFC 4 on December 16, 1994 in Tulsa, Oklahoma. There was just one catch though – due to his fulfillment of previous commitments, he only had five days to train. In his first match against Anthony Macias, he suplexed his opponent like a rag doll before submitting Macias with a read naked choke in 1:45. Marcus Bossett didn’t get that far, lasting just 52 seconds. Then, he would face the UFC’s undisputed superstar, Royce Gracie, in the night’s tournament final. And early on, things went according to plan as he took the jiu-jitsu expert to the mat and kept him there. Eventually, Severn started firing off some strikes, and as the bout when from five minutes, to ten, to nearly 15, it looked like just a matter of time until Gracie would be forced to give in. At the 15:49 mark, Gracie found his opening and forced Severn to tap out to a triangle choke. “I’d like to find another human, either living or deceased, that could have done what I did on the limited amount of preparation time that I had, and without ever training a single strike or a single submission,” said Severn, and he’s right when it comes to the incredible nature of his feat. But after losing to Gracie, the competitor in him wouldn’t let him stop. He signed on for UFC 5, but this time he wouldn’t train for just five days. When he returned in April of 1995, there was no stopping him, as he tore through Joe Charles, Oleg Taktarov, and Dave Beneteau to win the UFC 5 tournament. After a submission loss to Ken Shamrock at UFC 6, three more victories against Paul Varelans, Tank Abbott, and Taktarov earned him the Ultimate Ultimate 95 tournament, and five months later he avenged the loss to Shamrock with a 30 minute split decision that was dreadful to watch, but that added a Superfight championship belt to his trophy case. Following the Shamrock fight, Severn would only fight twice more in the Octagon, losing a heavyweight title fight to Mark Coleman in 1997 and then getting stopped on leg kicks by Pedro Rizzo at UFC 27 in 2000. Before and after the Rizzo bout, Severn stayed active, fighting anyone and everyone whenever asked until he retired at the age of 54 in 2013 with a final record of 101-19-7 that includes the names Cal Worsham, Victor Valimaki, James Thompson, Seth Petruzelli, Forrest Griffin, Marcus Silveira, Josh Barnett, Kimo Leopoldo, Paul Buentello, Jeremy Horn, and Pat Miletich. These days, he runs his training facility in Michigan and also works with local schools as a strong advocate of education. As for the sport of MMA, he doesn’t think about his influence too much, but he does appreciate when it’s brought to his attention that he was the one who made it safe for wrestlers to make their move into the sport. 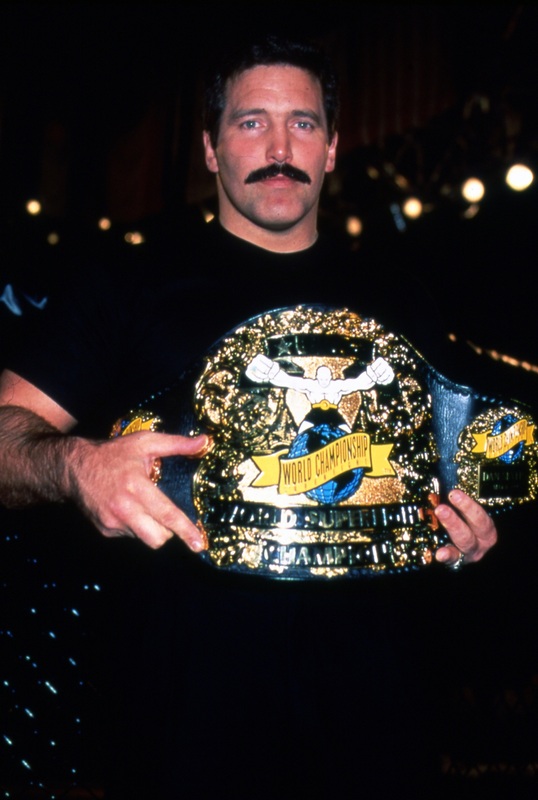 They can thank Dan Severn for that. Severn was inducted into the UFC Hall of Fame on April 16, 2005. This profile was excerpted from the UFC Encyclopedia.